From the ashes of Jill’s epic breakdown comes this raw, funny, and uplifting exploration of our age of anxiety. Charting her own life-long battles with mental-health problems, Jill asks why, in a western world with more opportunity, choice, and wealth than ever before, so many of us are depressed, anxious, and medicated. When we’ve never had more ways to connect, why do we feel so profoundly disconnected? Happy Never After is a soul-searching journey from despair to clarity and a forensic examination of our troubled times. Road-testing neuroscience’s latest psychological frontiers in compassion, acceptance, gratitude, play, hope and solitude, Jill turns the happiness fairytale on its head, and swaps the ‘quick fix’ approach to mental ill health for the long road back to herself. In the end, Jill has a hard-earned question for us. We’re all looking for answers. We all want the happy-ever-after. What would happen if we stopped chasing, stayed still, and found calm and meaning in places we least expected? "Funny, wise, poignant and compelling, Happy Never After is a brilliant intersection between searing personal experience and the wisdom of the elders: nothing brings us closer to despair than the relentless pursuit of our own happiness. "This is a book we need. Highly, highly recommended. Puts a deft finger on many things that I guarantee have been quietly troubling you for a while. A book for our times." 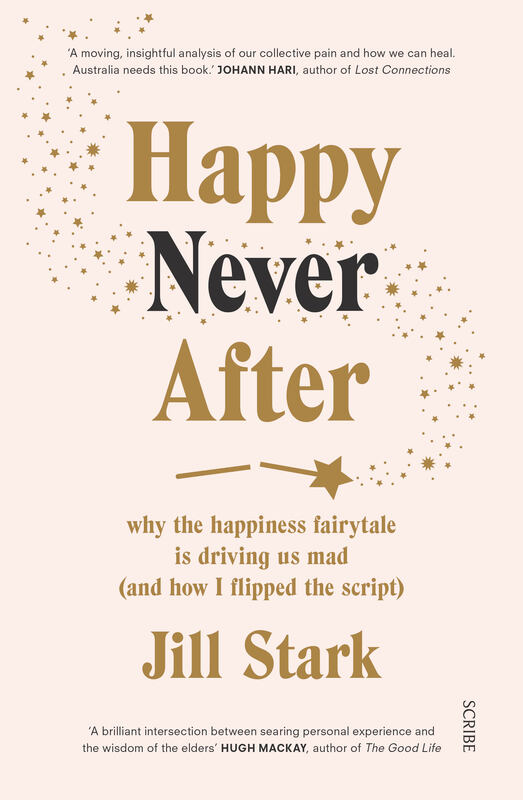 Join Jill in conversation with ABC Radio National’s Paul Barclay at the launch of her new book Happy Never After: Why The Happiness Fairytale Is Driving Us Mad (And How I Flipped The Script). Join Jill Stark with Nikki Gemmell at the Brisbane Writers Festival for a discussion around On Quiet, and Jill’s insightful new book Happy Never After.